Upon what appears to be a simple greeting of “Hail Full of Grace”, salvation history turns. According to Blessed Alan de la Roche the phrase is heavenly and beyond human understanding in its depth of meaning, it is an unheard of angelic greeting of reverence to a human being. Gabriel’s greeting of Mary is the only instance where an angelic messenger greets a human by title, rather than by name. 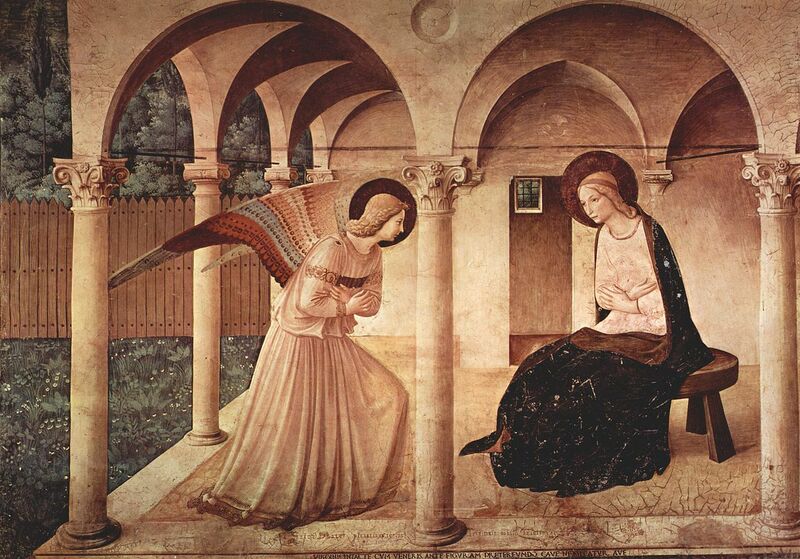 St. Thomas Aquinas posits that Gabriel’s greeting shows that Mary surpassed incorruptible spiritual angels in her dignity, in her close association with God, and in her fullness of grace. Through this greeting God became man, a virgin becomes the Mother of God, the souls of just are delivered, the empty thrones in heaven are filled, sin is pardoned, grace is given to us, the sick become well, death is conquered, exiles come home, the Blessed Trinity is appeased, and humanity obtains eternal life (St. Louis Marie de Montfort). The greeting “Hail full of Grace” is an indicator of Mary’s lifelong holiness and her important role in salvation history. This entry was posted in Essays, Meditations On Biblical Verses, Uncategorized and tagged Blessed Alan de la Roche, Blessed Mother, Catholic, Catholicism, Christian., Christianity, Hail Full of Grace, Luke 1:26, Mary, St. Gabriel, St. Louis Marie de Montfort, St. Thomas Aquinas. Bookmark the permalink. A lovely post about the angel’s greeting.